Kendle Smith was wanted in connection with the aggravated assault of a crossing guard. ABILENE, Texas — UPDATE: Taylor County Jail online records show Kendle Smith, 31, was booked Thursday on a charge of aggravated assault, as well as a parole violation. Smith's bond was set at $150,000. Abilene Police asked for the public's help locating Smith Thursday in connection to the aggravated assault of a school crossing guard who was intentionally struck by a vehicle, believed to be driven by Smith. 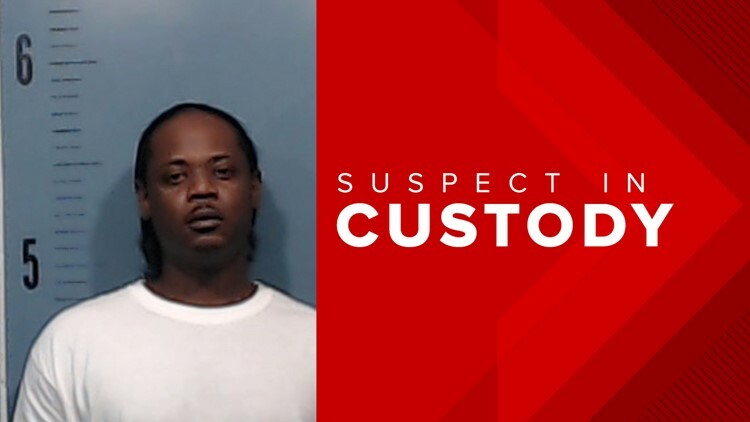 ORIGINAL STORY: Abilene Police Department detectives are asking for the public's help in locating Kendle Smith, 31, of Abilene. Smith is wanted in connection to the aggravated assault of a school crossing guard who was intentionally struck by a vehicle, believed to be driven by Smith. Just after 7 a.m. Monday, a call came into police dispatch stating that the driver of a 2007 Lexus sedan struck a school crossing guard with his vehicle on North 10th Street, near Lee Elementary School. The driver then abandoned the vehicle and then fled the scene on foot. The victim in the incident was treated at a local hospital and released. Anyone with information on Smith is urged to contact the APD's non-emergency number at 325-673-8331. Anonymous tips can be called into Abilene Crime Stoppers at 325-676-8477.